Research indicates employers are looking at students who have completed at least two internships during their undergraduate education. In fact, 58% of students reported they received a job offer from the employer of their internship. Tremendous opportunities are available to Truman students through internships which come in various forms: academic credit/non-credit, paid or unpaid, and summer, semester or on-going time frames. The key is to plan ahead, and the Career Center is here to assist you with your internship search process. This is the online job board used by the Career Center to post jobs and internships available for a variety of majors. Every Truman student has a username and password to #HireTruman. If you do not know your log-on information, please contact the Career Center. If you’re looking for an on-campus internship, check out the the Trupositions, Truman’s centralized job and internship postings. Every semester, the Career Center hosts Career Expo with approximately 100 employers from a variety of fields and locations. Work in the capitol of Missouri interning with a public official, legislator or state agency. Spend a summer at the Truman Library which offers a wide range of areas from archives, to public relations, to marketing, and more. Live and work in the nation’s capitol. For non-University sponsored internships, many departments on campus have a coordinator who can help students locate an internship. Coordinators guide students to a database which details where past students have interned and provides contact information for the supervisors. Did you know 75% of jobs and internships are not posted? This showcases the importance of networking! Join as a student member to begin networking with professionals in a field you want to get into. Attend meetings of civil organizations as a guest of someone you know, and use the opportunity to network. To effectively sell yourself as a job candidate, you need to be able to persuade the employer that you are a fit for that employer’s needs. You cannot present yourself as a match if you do not know enough about the employer to do so. In interviews, employers expect you to arrive with knowledge of background information–products and services, financial statistics, locations, mission and history, and company culture. If you do not, you look like you are not really interested in the job. You have to be able to answer the critical question of why you would like to work for that employer–and not sound like you would take any job. Research also helps you formulate intelligent and appropriate questions to ask in your interview. As social media is becoming a preferred method of communication, employers are increasingly looking at candidates’ social media sites. In fact, one third of all employers use social media in the hiring process. Employers can use the information found on your social media to determine your professionalism, your character, and skills. Sometimes, it can help you get an interview but sometimes it can prevent you from getting the interview. Be sure to check your social media pages before conducting your job search. View your pages through the perspective of a potential employer. Students who are interested in working abroad should use Going Global to research countries and internship opportunities. 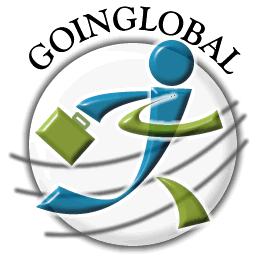 Going Global is an online provider of country-specific employment and career information. This unlimited access database contains country career guides, corporate profiles, and international internship and job openings. Using Going Global: Login information on the Going Global site is the same as your Truman username and password. Theatre Communications Group (TCG), the national organization for the American theatre, has a job search website called ARTSEARCH. You can log in and create an account at www.tcg.org/Store/ARTSEARCH/ProductDetail/39. Use the code ASTCG242 at checkout for complimentary access to ARTSEARCH. Glassdoor, a jobs and recruiting site, provides a free inside look at companies, including lists of open positions, reviews of companies submitted by current and former employees, salary information, and lists of interview questions real job candidates received at their interview.